ALL orders must be e-mailed to me FIRST at slwenzel629@gmail.com. This will allow me to check inventory levels. Please include the items requested, what type of event they will be used for, the Lodge name and number, name of person requesting the order and where to send the material - either the Lodge or home address - No P.O. Boxes - orders cannot be sent to P.O. boxes. See menu at the left for order form. Lodges have limits on material they can have. Grand Lodge is 1,000 pieces of literature per year with limited exceptions. State material is also going to be limited to the same amount for literature, red ribbons, bags and stickers. Other more costly items will hold different amounts. When orders are placed, I will check the amounts available and re-contact the ordering Lodge. I am working with the State Association to allow Lodges that require more than the allowable limits to be able to purchase those items from Lodge budgets for the cost of the items plus postage. Please remember that once orders are placed, you have to allow a reasonable amount of time for delivery. Grand Lodge items come thru Chicago, and the state does not carry inventories. Everything is ordered direct. When ordering, please allow enough time for the order to be processed and shipped well before your event – 2 to 3 weeks minimum and 4 to 6 weeks if possible. All districts have an Elroy the Elk costume for their district use. New rules and procedures can be found on the menu at the left. If your Lodge would like to use a Drug Awareness Trailer, please complete the trailer application form and submit it to me. I will review it and if all information is complete, I will forward the request to the appropriate drug trailer manager for the trailer’s release. If there is a problem with the form information, I will contact the requesting person to correct the problem in order to get the trailer to you. Please understand that this procedure is to keep track of the drug program’s assets and to allow us to track and run the program more efficiently. The Benevolent and Protective Order of Elks welcomes you to the resource center for the Elks National Drug Awareness Program - the largest volunteer drug awareness program in the United States. We are very proud of our dedicated army of volunteers who freely give their time and talents to this most noble cause. The Elks are committed to eliminating the use and abuse of illegal drugs by all members of society and believe that in order to ensure a bright future for our country, it is essential that our children be raised in a drug-free environment. The 2018-19 Drug Awareness Contest theme is "Drugs Take Away". The contest is open to all 3rd, 4th, & 5th grade students. Poster paper: Ideally, posters should be submitted on 8½ x 11 inch paper. However, posters submitted on paper up to 11x24 inches in size will be accepted. Please contact your lodge for additional information, as some areas might have additional criteria. 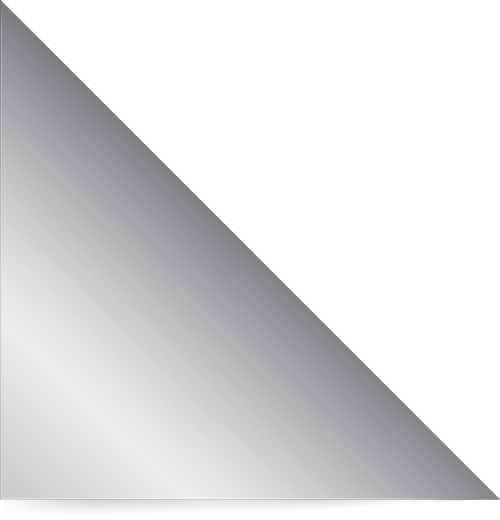 Copyrighted characters are prohibited. Entries containing copyrighted material will be disqualified. Winners: Each lodge will select a winner, using the criteria listed above. The lodge will notify winners. Winning posters will be forwarded to District Competition. District winners will be forwarded to State Level Competition. All winning entries become the sole property of the Benevolent and Protective Order of Elks, and may not be returned. National recognition: Each State Drug Awareness Chairman will choose one overall winner. This winning poster will be submitted for entry into the annual National Elks contest and for inclusion in the Elks DAP Coloring Book. Winning Posters may also be featured on the www.elkskidszone.org website - online coloring book and/or in ENF or DAP publications. The theme for the 2018-2019 contest is: "Drugs Take Away ..."
Winners: Your local Elks lodge will select the top videos, using the criteria listed above. The lodge will notify winners. Winning videos will be forwarded to District Competition. District winners will be forwarded to State Level Competition. All winning entries become the sole property of the Benevolent and Protective Order of Elks, and may not be returned. 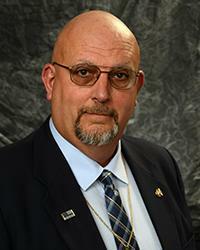 National recognition: Each State Drug Awareness Chairman will choose one overall winner. This winning video will be submitted for entry into the National contest and may be featured on the www.elkskidszone.org website and/or in ENF or DAP publications. Find out how these kids get high! The U.S. Food and Drug Administration on Thursday announced sweeping new restrictions on flavored tobacco products, including electronic cigarettes popular among teenagers in an effort to prevent a new generation of nicotine addicts. The printed version of the What Heroes Do comic book is available to be used in classroom situations. To order a What Heroes Do Comic Book Kit, please contact your State Drug Awareness Chair-person for the order form (See Contacts for list of State Drug Awareness Chair-person). The order form needs to be signed by a school official and your State Drug Awareness Chair-person. 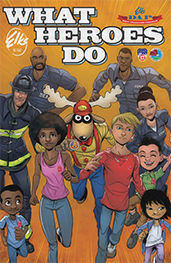 This teacher’s guide is brought to you and your students by The Elks Drug Awareness Program (DAP) working in close collaboration with their content partners, the DEA and FDNY.